Easy operation, you just need more a wax heater pot,and a spatula to apply the wax to your hairs. Perfect for depilatory and no strips required. Can tear off the wax from your skin directly by hand after the wax is cold and becomes hard.You can do a depolatory at home by yourself to save your money and time. 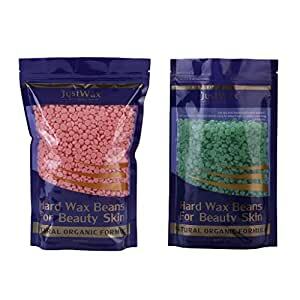 - Natural wax ingredients,different natural aroma,no harms to your health. - Easy operation, you just need more a wax heater pot,and a spatula to apply the wax to your hairs. - Perfect for depilatory and no strips required. Can tear off the wax from your skin directly by hand after the wax is cold and becomes hard.You can do a depolatory at home by yourself to save your money and time.